Restorative Hair Mask is a 5-7 minute revitalizing treatment that quickly repairs hair that’s weak, damaged or color treated. Its high performance formula is rich in argan oil and protein to fortify and restructure hair that’s been damaged by chemical treatments or heat styling. It actually infuses protein back into the weakened hair shaft, so hair becomes stronger and more beautiful. 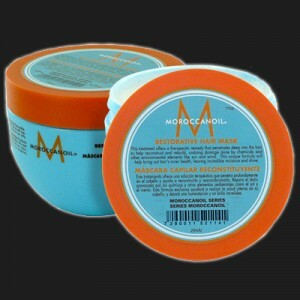 This product is available at TZ Hair Salon.